I LOVE marshmallow peeps. Gooey sugar coated with sugar. What’s not to love? When the kids were little we did peeps dioramas for a contest that the Pioneer Press used to have (or maybe they still have it?). 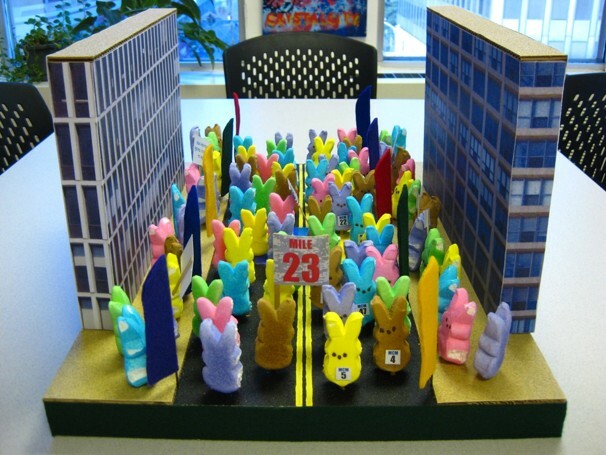 Stumbled across this peeps diorama photo today from the Washington Post. Peeps Running a Marathon. How cute is that!?!? Life has gotten really crazy and really hard recently. I’m trying my best not to let it knock me down. But it’s really really hard. I know one thing: I’m more thankful than ever that I have running to keep me sane during all of this. My Boston training plan has entirely gone out the window. I’m now just running what I want/need, when I want/need to run. I’ve also been doing pilates and biking. 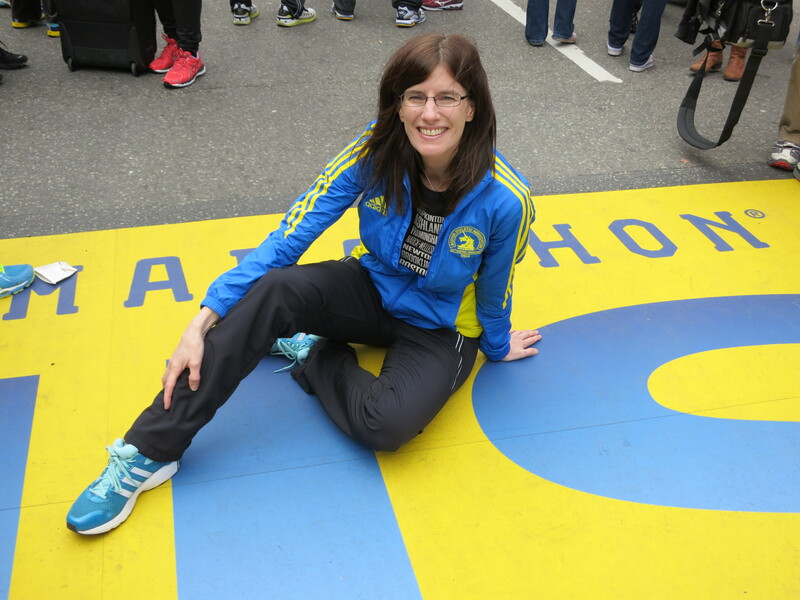 I won’t be in race ready mode for Boston by any stretch of the imagination – but I’ll be SO ready for a weekend of funning and running.